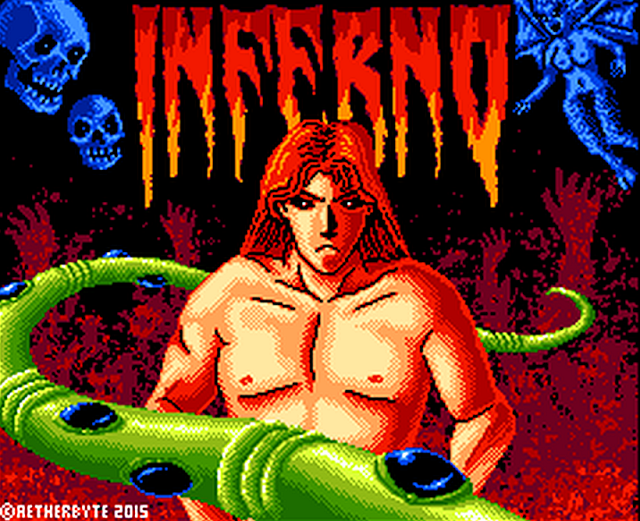 Another day of writing and the year has only just begun, as we've recently been contacted by Aetherbyte, that his action slasher 'Inferno' which uses the ASCII 8 mapper, has been released digitally for the MSX2 and MSX2+. 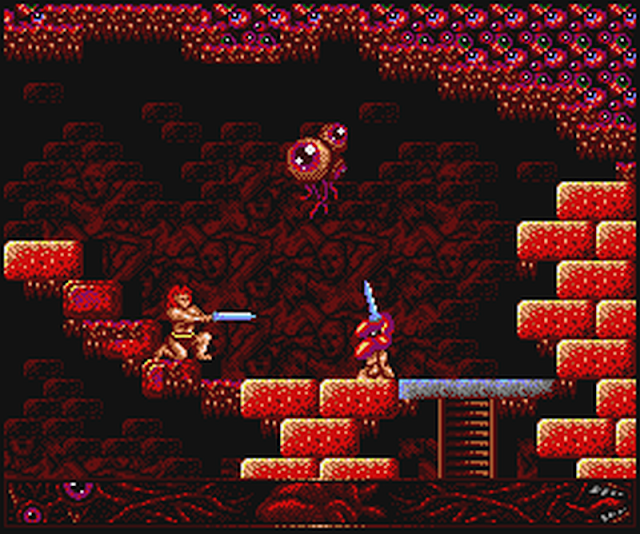 Looking like a cross between Barbarian and Rastan, this latest game puts you in control of a sword wielding beserker that seems to have woken up in the depths of hell. With screams all around you, spikes dripping with blood, and bodies everywhere, you must found out how you got there, who you are, and get out before you end up as one of the many corpses! Inferno was first announced by us in the early part of 2017 as an action platformer by a developer with demonic forces on his mind. This game which doesn't have any cuteness in sight, will have you facing deadly enemies, as well as avoiding nasty spikes that are scattered throughout the levels. Thankfully you can play the game right now or you can wait for the PHYSICAL VERSION which will hopefully be available soon.